Imagine Communication that Spreads Faster than Sepsis. CREATE your dedicated patient channel. BUILD your custom Sepsis team with just a tap. Sepsis can take over in an instant. Your communication should too. That's why Pulsara allows you to dynamically build your sepsis team to include the RIGHT people for your unique patient, at the RIGHT time. Add or remove people, teams, and entities as the case requires. With Pulsara, you're in control. Ready for Faster Sepsis Communication? Instantly alert pharmacology or the ICU. Sepsis cases evolve rapidly. That's why the instant you detect sepsis in your patient, you need the power to connect with any member of your team and mobilize the appropriate resources, instantly. Dynamically build your team to include whomever you need, right when you need them. INSTANTLY SEE HOW YOU'RE DOING, AND WHERE TO IMPROVE. How is your current case performing relative to national standards and facility averages? 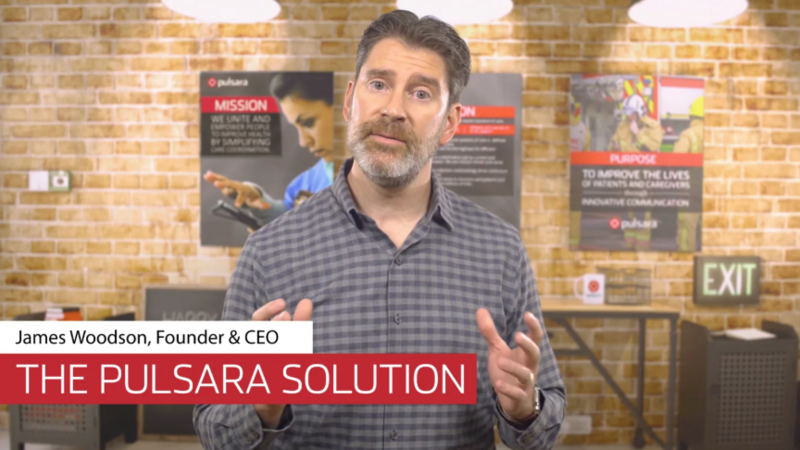 Pulsara provides the tools you need to measure your performance, and equips your team to make actionable plans to improve. With Pulsara, simply COLLECT the data you need on ONE dashboard regardless of patient method of arrival, EVALUATE the data with motivating benchmarks, IDENTIFY opportunities for improvement, then STANDARDIZE and COMMUNICATE your goals to your entire team in a meaningful way DURING the case. With Pulsara, effortlessly track symptom onset, false positives and negatives, and definitive treatment times — all critical timestamps along the entire patient journey (even the ones not collected at your facility) are automatically in one place for you, making reporting and goal setting a breeze. FACE-TO-FACE COMMUNICATION - FROM ANYWHERE. Imagine if you could instantly see any patient, no matter where he or she is located. With Pulsara, you can. 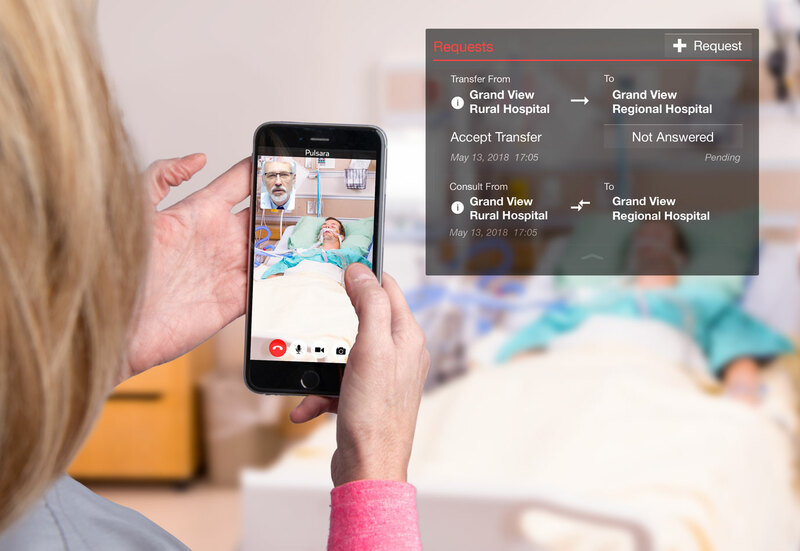 Using Pulsara’s live video capabilities, which allow for HIPAA-Compliant communications, telehealth providers can add a powerful tool to their existing offerings. 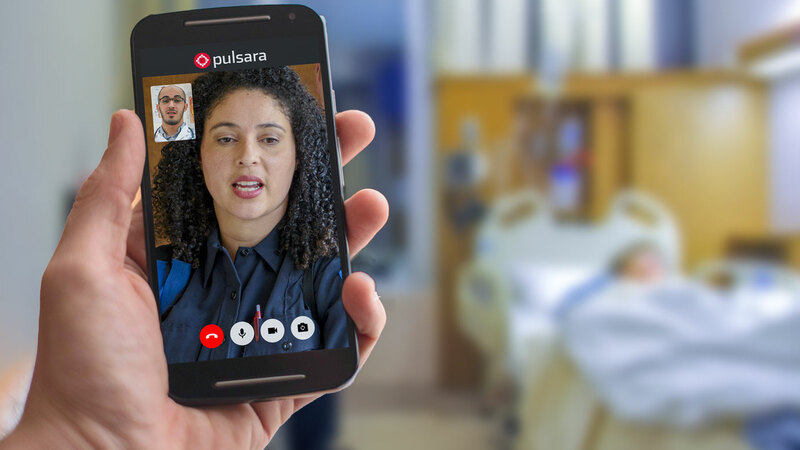 Pulsara offers a variety of features to improve communications between telehealth providers and other patient care team members. 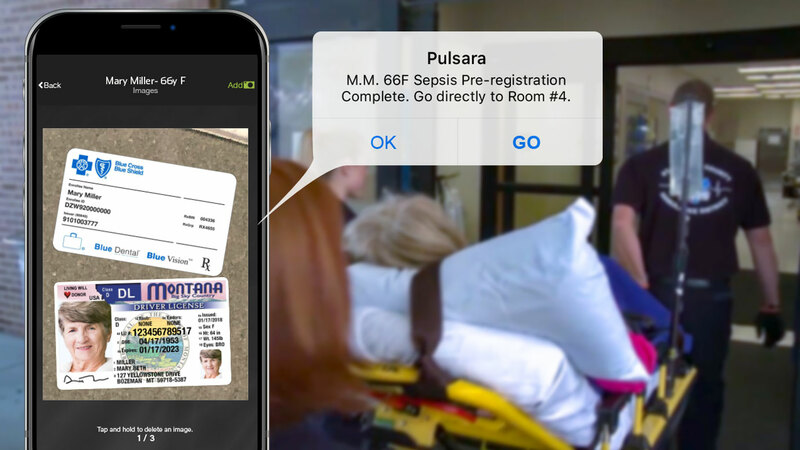 With Pulsara’s live video capabilities, medics and specialists can connect in real time to ensure appropriate destination hospital selection and resource mobilization. And, clinicians assigned to the case can video chat with the ICU team from anywhere. Clinicians can even consult with other hospitals and facilitate a transfer via live video communication. Cut down on the amount of typing, filling out forms, and data entry. Minimize the reliance on outdated radio reports which only deliver information to individuals who will never take care of the patient. Share the RIGHT information with the ENTIRE TEAM instantaneously. No more errors from playing the telephone game. Ahh, the sound of clarity. Consults and transfers so fast, even sepsis can't keep up. When it comes to communications, most transfer centers function as a switchboard, connecting people via phone calls. But have you ever had a case where the septic patient’s condition evolved so rapidly that the change was never communicated? 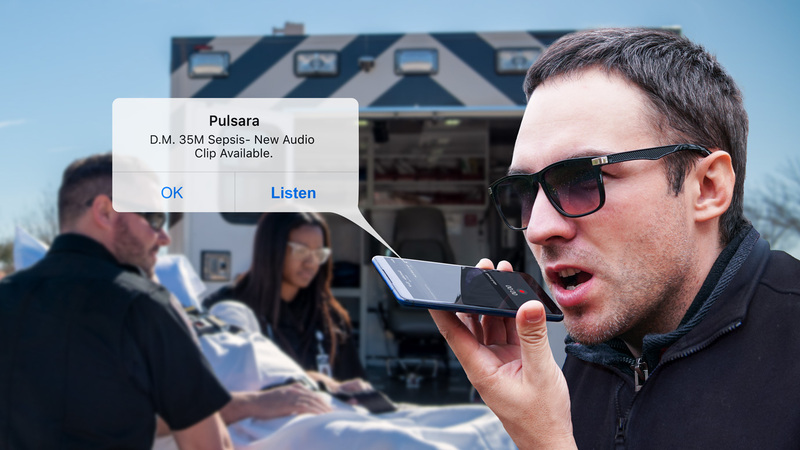 With Pulsara, you can get an instant and real-time consult from any other clinician, and transfer your patient with just a few taps. If something changes along the way, the whole team can be notified -- instantly. PLUS, our Consult/Transfer feature unifies data and time-stamps across organizations. Life at the transfer center just got a whole lot simpler. SECURELY TRANSMIT IMAGES OF JUST ABOUT ANYTHING. 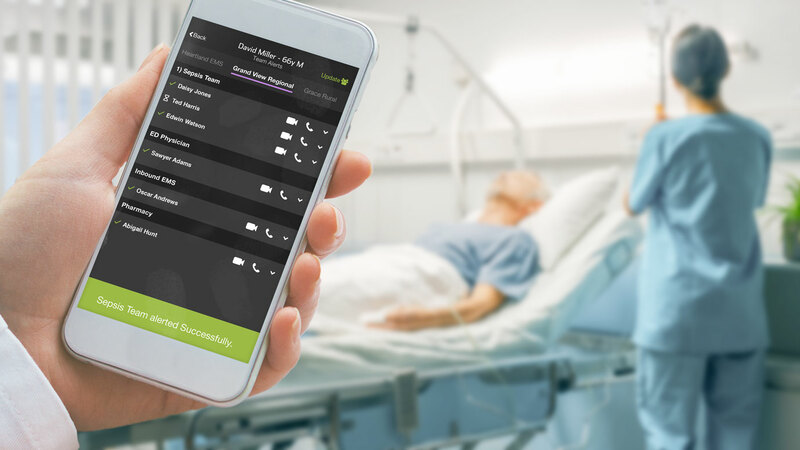 Transmit images of the patient, driver's license, or medication list directly from the bedside - to anyone on your care team - instantly and securely. "It's very user friendly and it definitely makes our job a lot easier." The Future of Sepsis Care is Connected Teams.